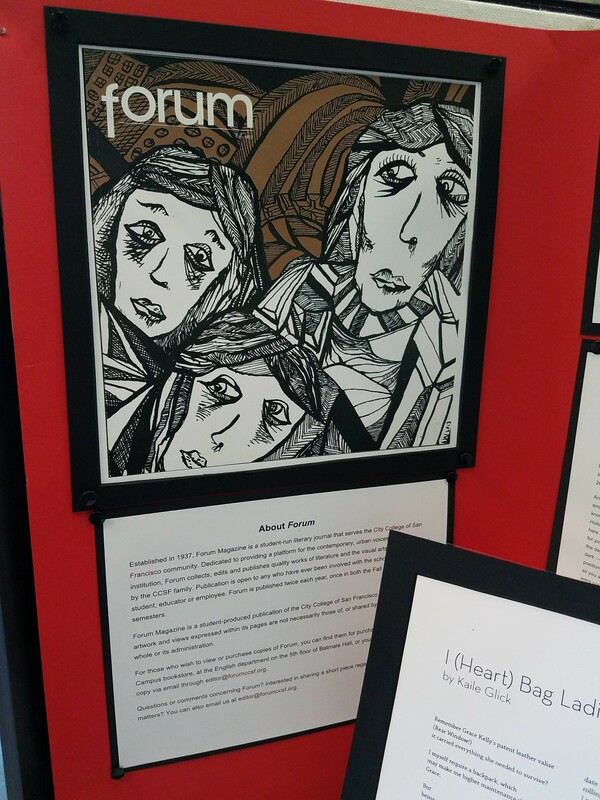 Established in 1937, Forum Magazine is a student-run literary journal that serves the City College of San Francisco community. 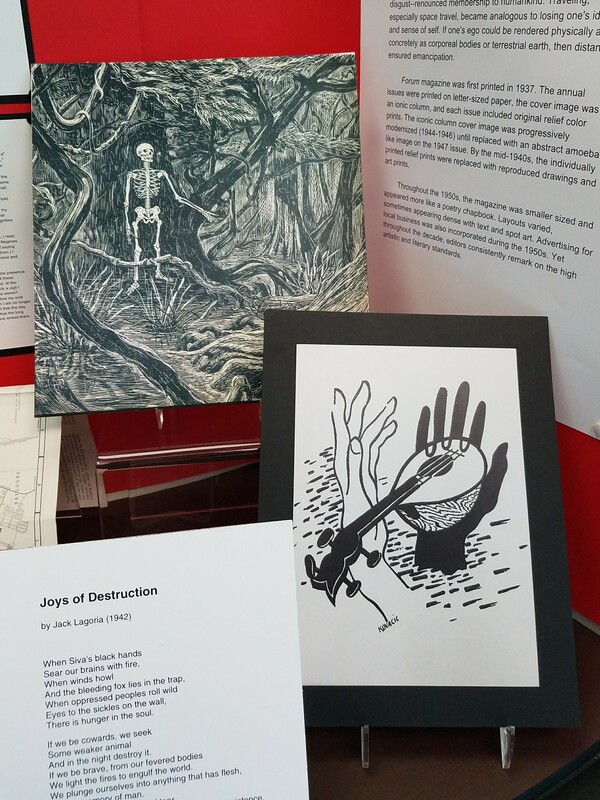 Forum magazine is a reflection of the work, and the work is a reflection of a particular time. 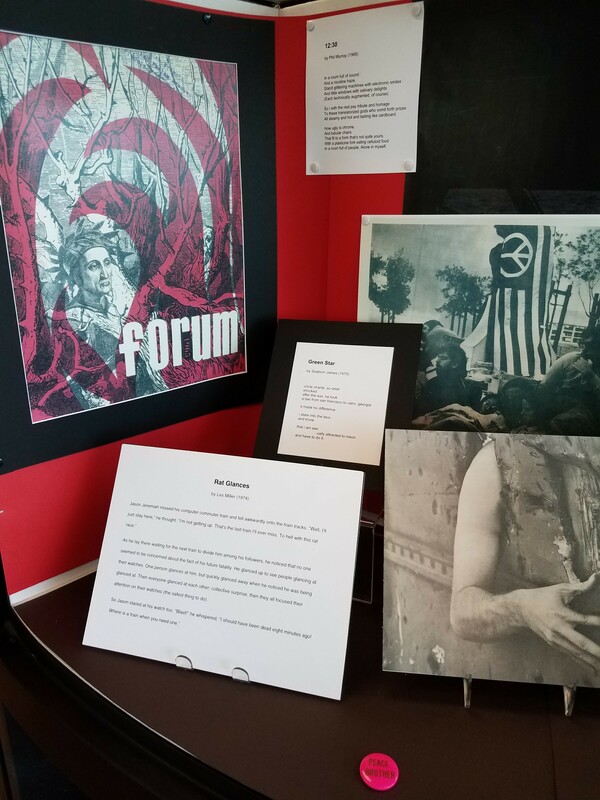 The interest of this exhibit, “Rough Resemblance: Celebrating 80 Years of Forum Magazine,” is to demonstrate that a fellowship of artists can be found despite individual experiences and historical differences. 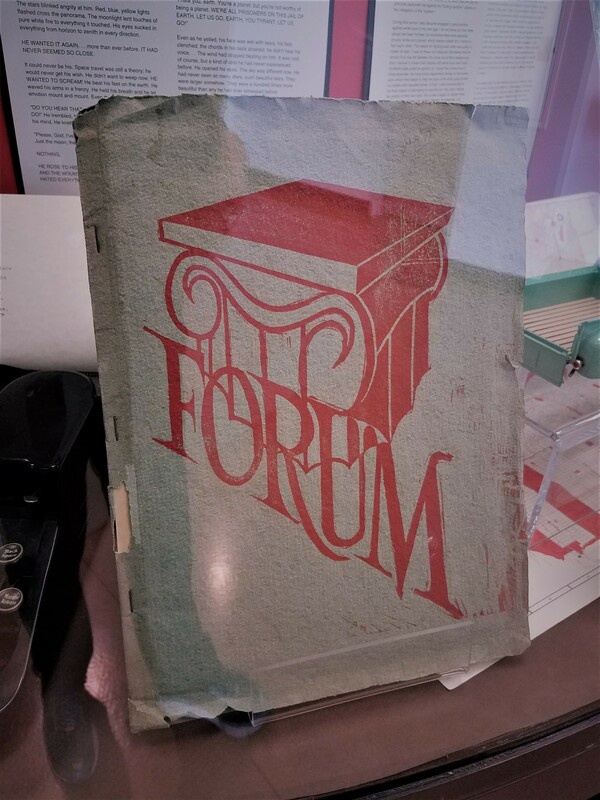 Two striking features of Forum magazine are content and form. A wide range of views have been expressed in the eight decades of Forum’s publication. Remarkably, noticeable themes like identity, technology, and habitat repeat and overlap across decades. Additionally, student editors have fiddled with Forum’s style for decades, building a legacy of unique perspectives. No issue looks exactly like another: cover design, magazine shape, formatting, and layout are periodically standardized or differentiated. The Creative Writing Certificate is supported by City College of San Francisco’s English Department. Students interested in participating in the publication of Forum Magazine should review CCSF’s course catalog (ENGL 35L/M).